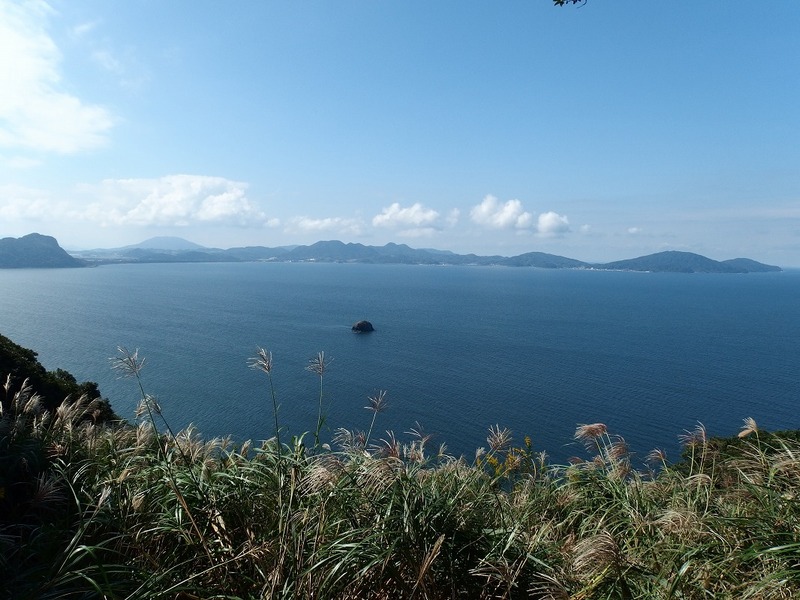 Do you know Nokonoshima island (能古島) which takes only 10 minutes of boat trip from the Fukuoka city? 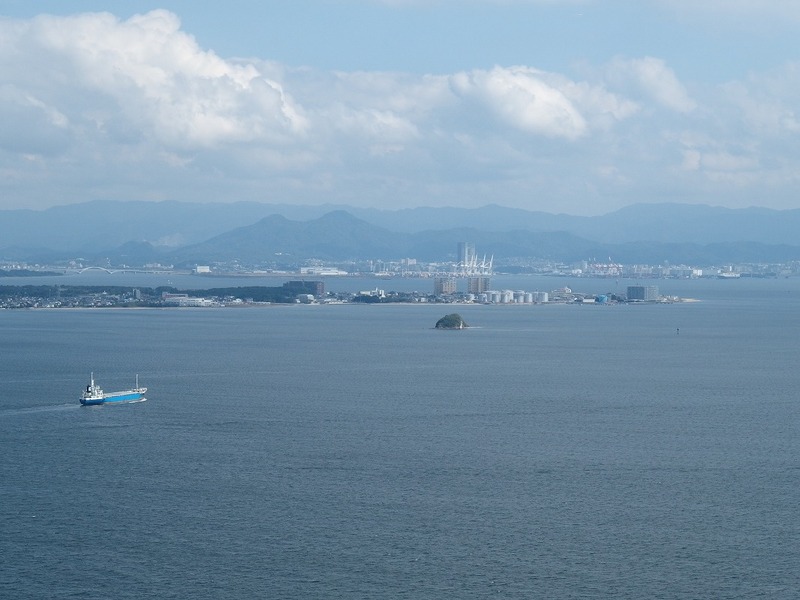 This island in Hakata Bay is a small island with an area of 3.95 square kilometers, a coastline of 12 kilometers, and a population of about 720 people. 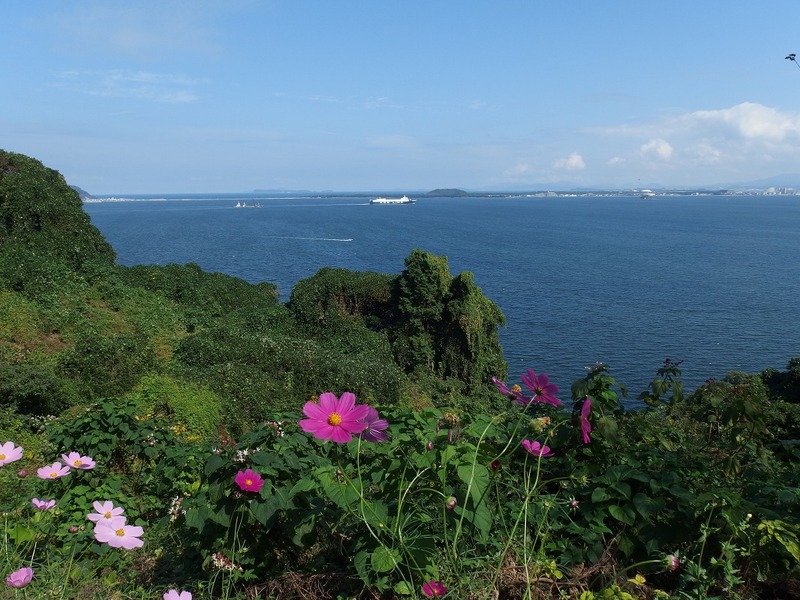 On the island, flowers bloom in various seasons and many nature remains, so tourists who enjoy camping or hiking visit a lot during each season. It is easy to access from the city center within 10 minutes by boat, making it a healing place for local people. On the island, stone ax from the Paleolithic age (about 13000 years ago) and stone tools made from obsidian, and pottery from the Yayoi era (mid 3rd century BC) have been excavated. Its name also appears in the literature of the Sumiyoshi shrine around 730 years or the Manyoshu collection (Waka collection around the 7th and 8th centuries). It can be said that it is an island with a very long history. 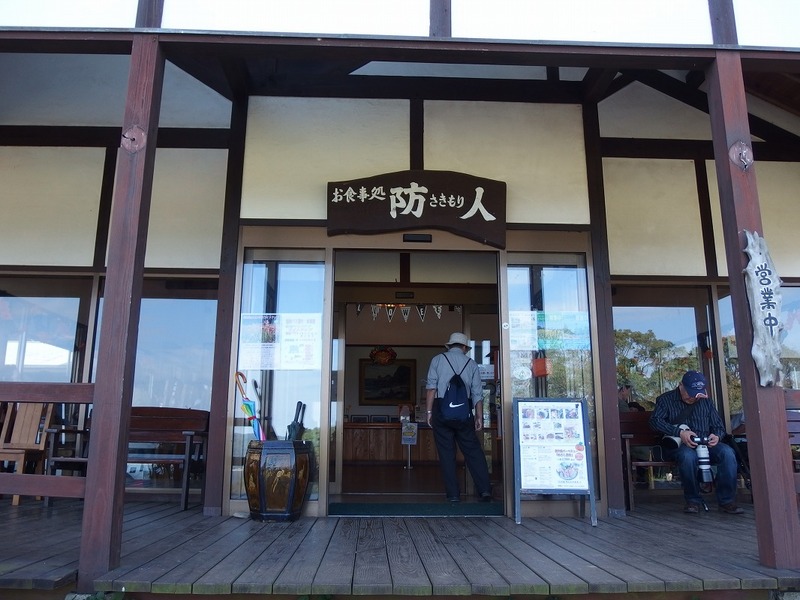 This is Meinohama Ferry Terminal (姪浜フェリーターミナル), where we can get on a boat to Nokono island. 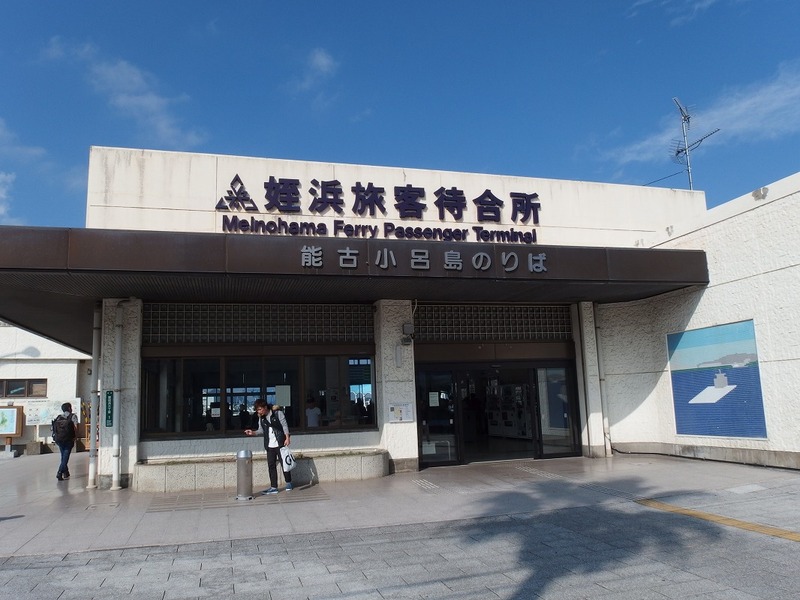 To access to this ferry terminal from Tenjin (天神), take a Nishitetsu Bus number 300, 301, 302, 304 from Tenjin Kosoku Bus terminal-mae 1A bus stop (天神高速バスターミナル前) to Noko-tosenba (能古渡船場) bus stop (about 30 min). From JR Hakata Station, take a Nishitetsu Bus number 300, 301, 302, 304 from Hakata Bus Terminal 1F until Noko-tosenba bus stop (about 35 min). We get on a boat like this in the photo below, from the same entrance of the vehicle. 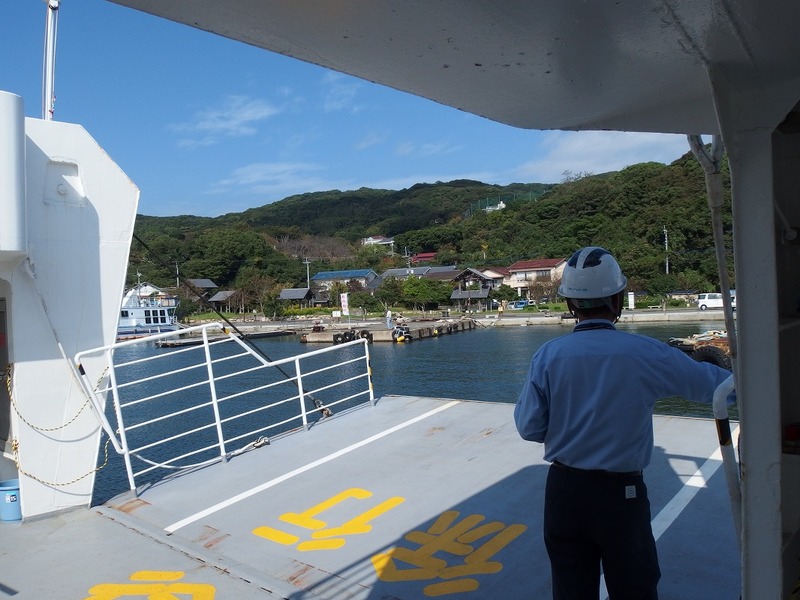 We arrived at Nokonoshima Island exactly in 10 minutes. 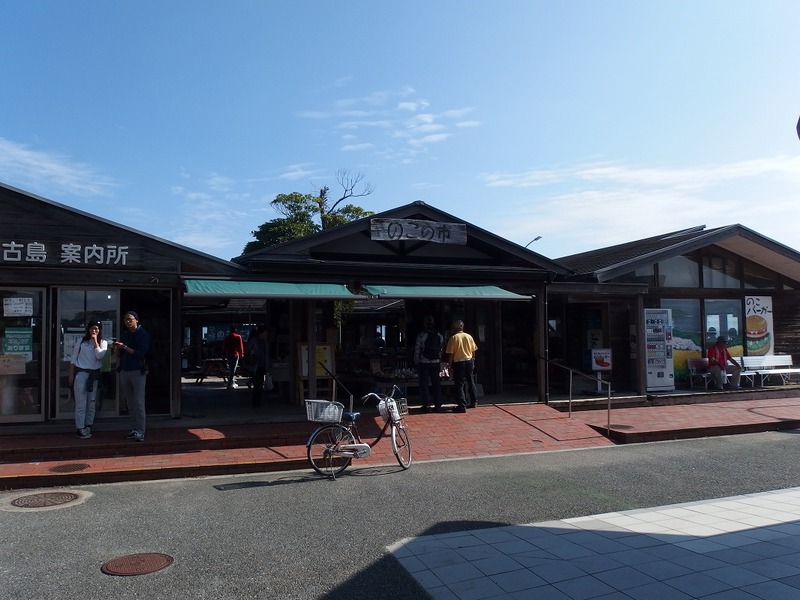 There are tourist information office, public toilet and restaurants around the ferry port. 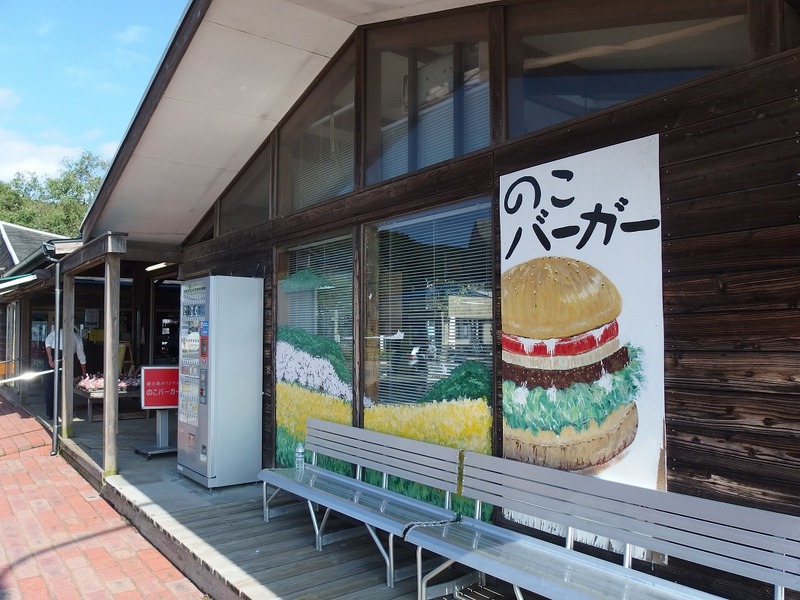 It’s a burger shop just in front of the ferry port. 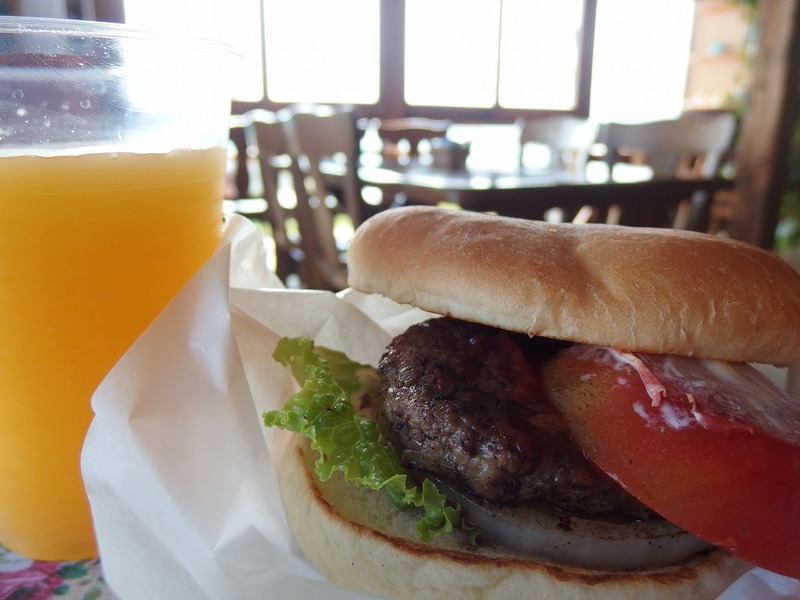 We can have a burger using vegetables harvested in this island, and Amanatsu juice (Kind of citrus fruit) also harvested from the island. 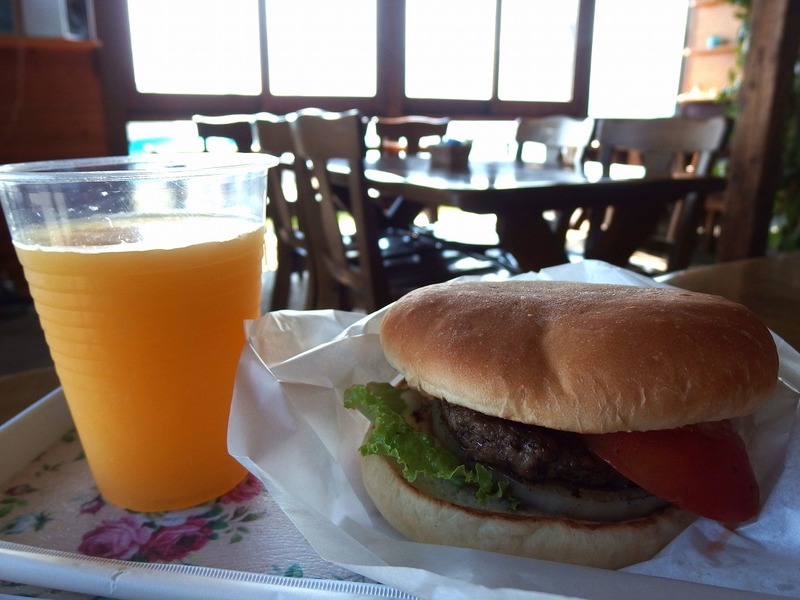 I ordered a Noko burger and an Amanatsu juice. The taste of the burger in this tourist spot is much better than what I eat at the usual chain store. Ingredients are simple, buns, patty, lettuce, tomato, and some source. Amanatsu juice has sweet-sour and a bit of nice bitter taste. Close: From Dec to Feb, opens only weekends when the weather is fine. The transportation in this island is basically by bus. However, it will be pretty crowded during the busy seasons, and you might be in a long line waiting for a bus. I will add a link for bus timetable here. NIshitetsu Bus Timetables between Ferry Port to Nokonoshima Island Park (Please change the date and time in the website for your schedule). This island is not a big island so I recommend a bicycle if you want to enjoy the scenery. We can rent a bicycle at the burger shop that introduced earlier. 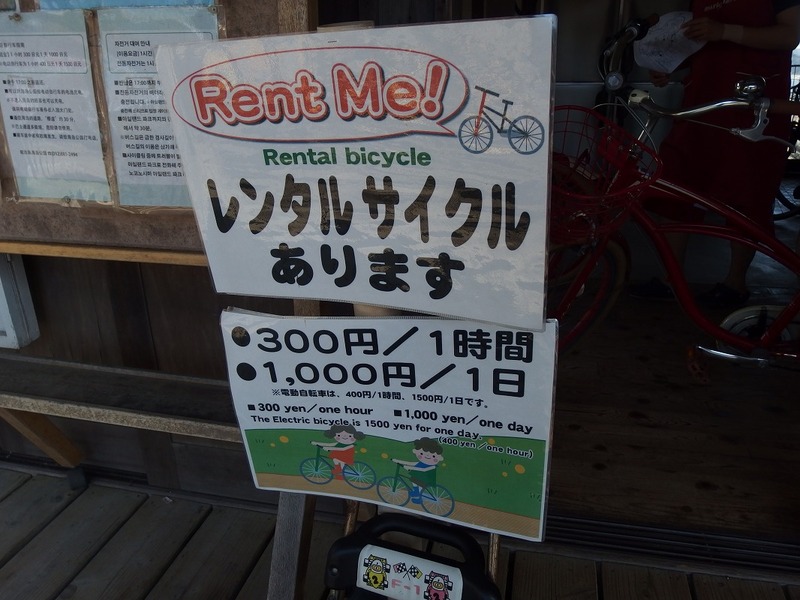 Regular bicycles are 300 yen per hour, 1000 yen per day, electric bicycles are 400 yen per hour, 1500 yen per day. 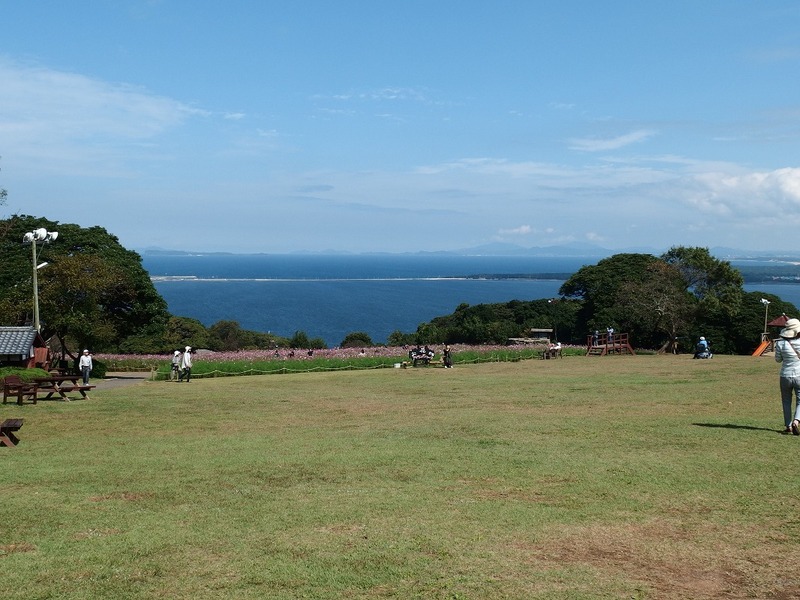 Nokonoshima island has a lot of slopes so I strongly recommend electric bicycles. 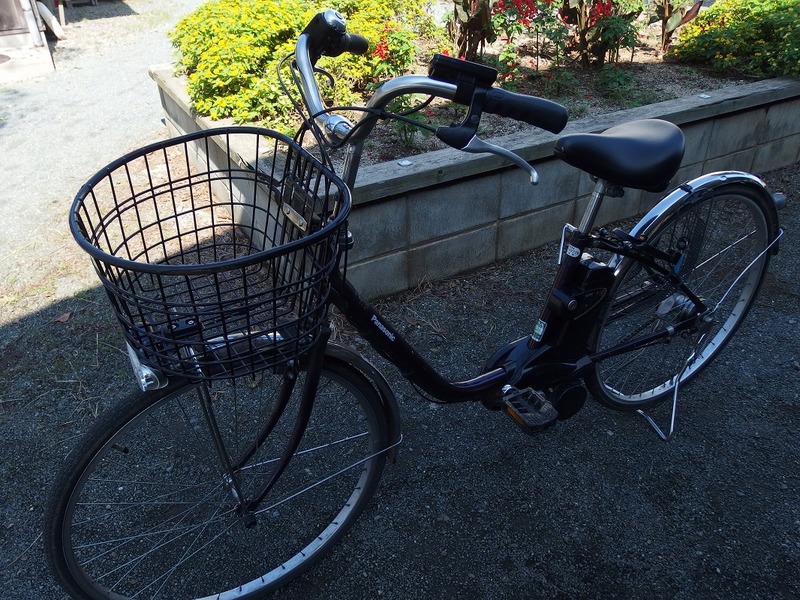 It is the electric bicycle I rented this time. Actually, it’s the first time I ride on an electric bicycle. 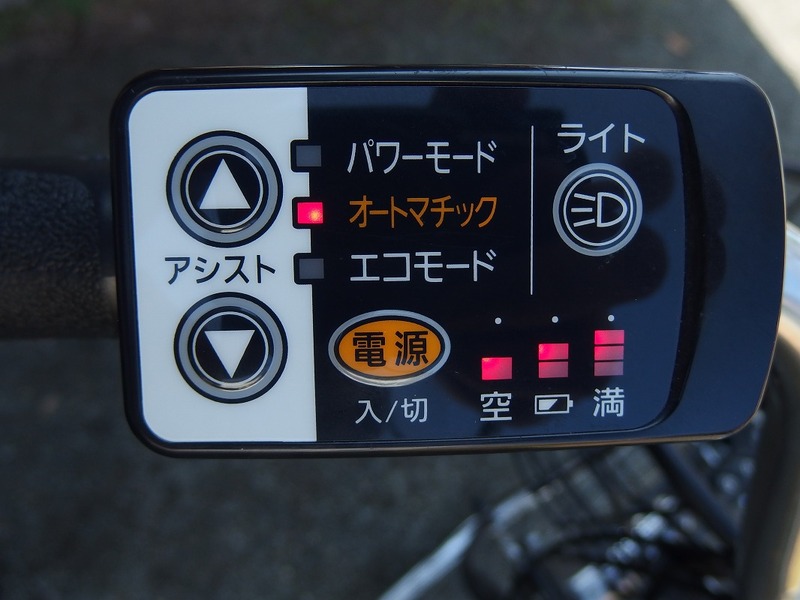 The top is the power mode, the middle is automatic, the third is the Eco mode. In the lower right corner, it indicates three levels of power remaining. The shop staff said normally it is enough using automatic mode in the island. 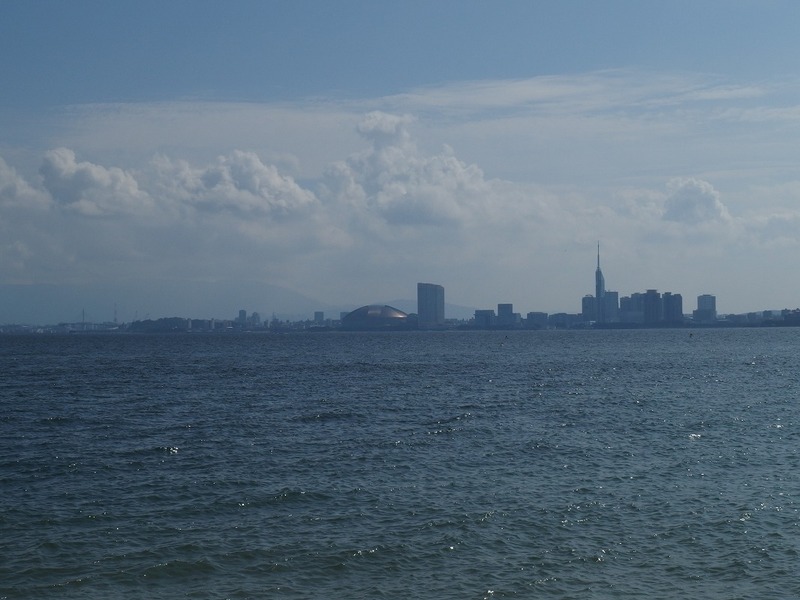 It was fine weather on this day, and I could see the buildings in Fukuoka city on the opposite shore well. It is a perfect season for sightseeing because Japan’s October is between the hot summer and the cold winter. 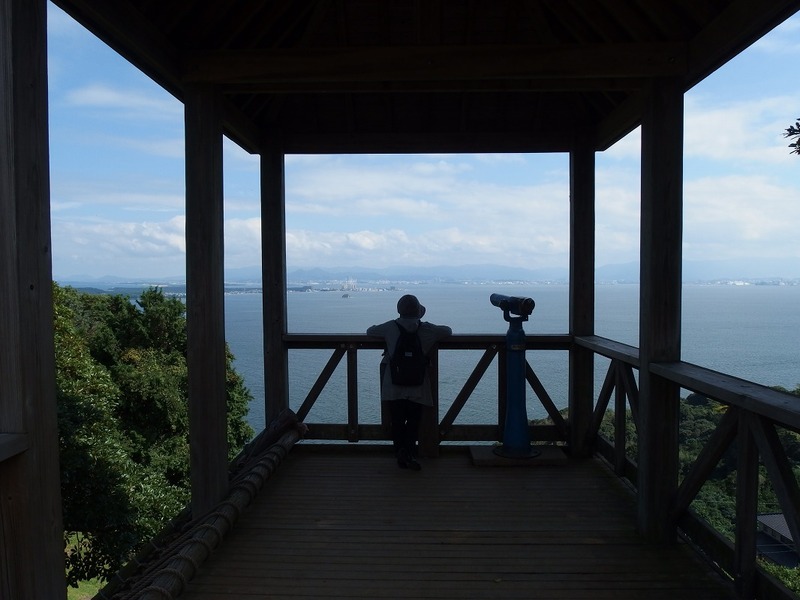 By the way, I was aiming for an observatory at the beginning, but I changed my mind and gave up to visit there since the slope was too hard for me even it was electric bicycle and finally couldn’t find a way to the observatory. Finally, arrived at the Nokonoshima Island Park. It is not certain because I stopped sometimes on the way (to search the entrance of observatory..), but it took less than 30 minutes by bicycle from the harbor to the Park. 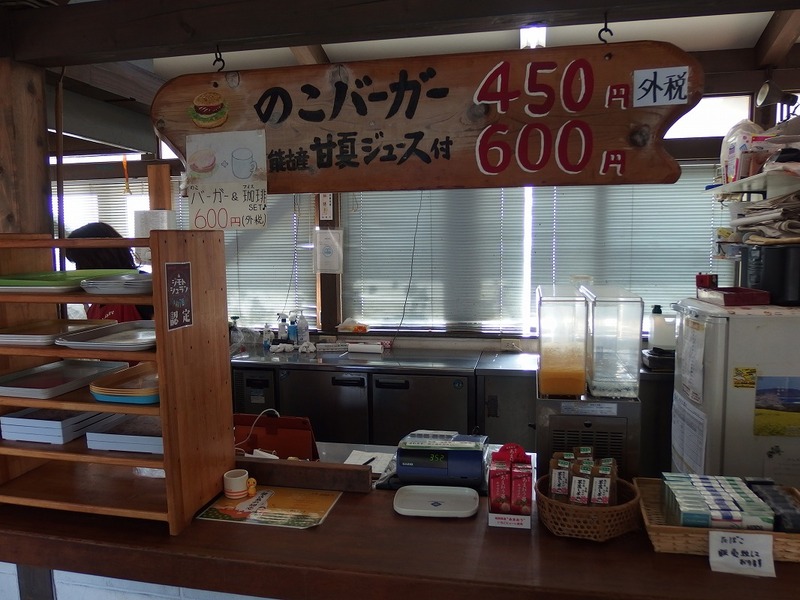 Charging of electric bicycle can be asked at reception desk when buying admission ticket at this island park. 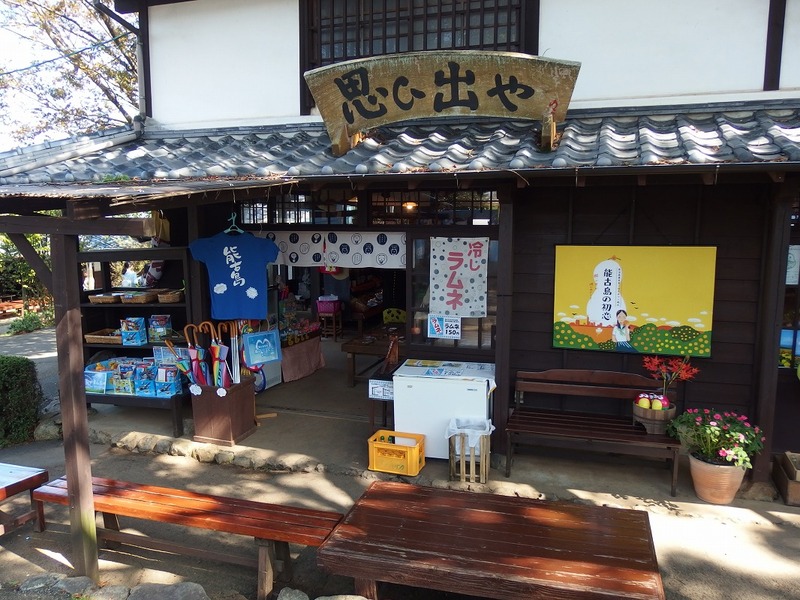 The admission fee is 1000 yen for adults (16 years old and over), 500 yen for children (7 to 15 years old), and 300 yen for infants (3 to 6 years old). 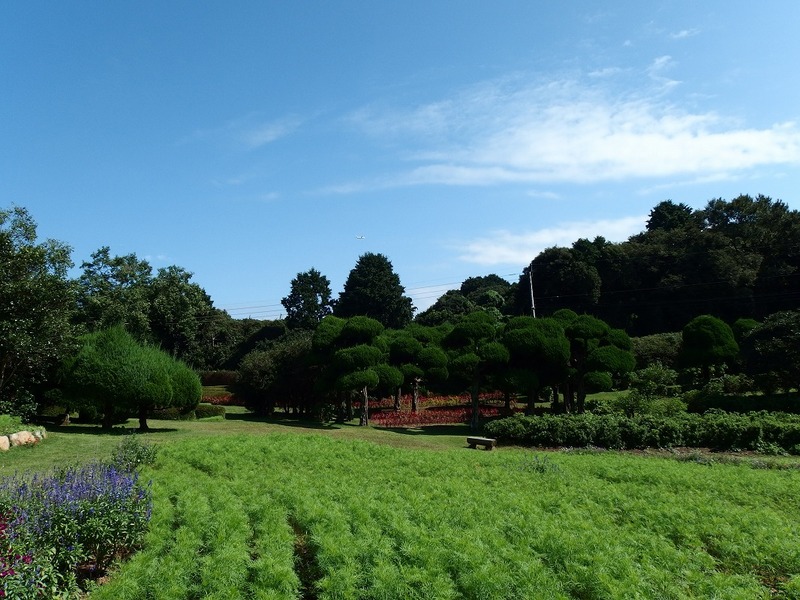 Nokonoshima Island Park is the place most of the tourists who visit this island visit. 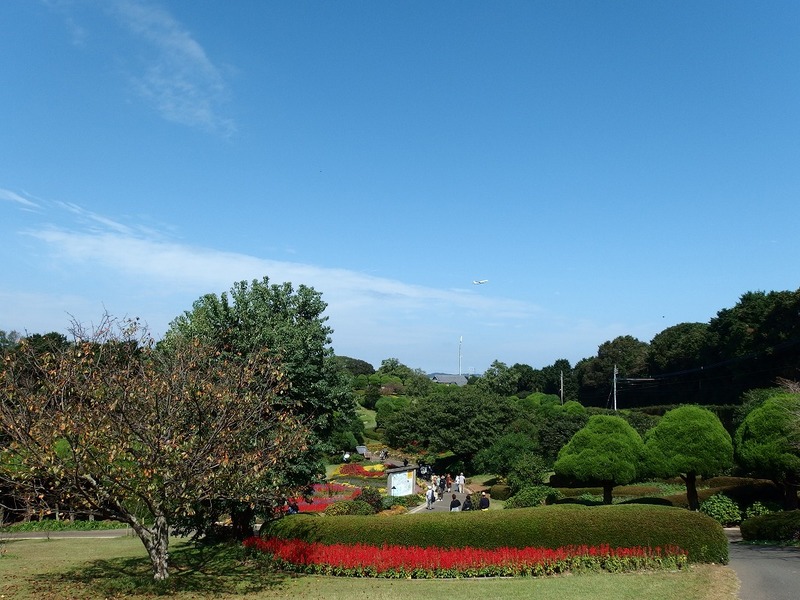 It is a family friendly park where we can escape from the noise of the city and enjoy the nature of this island. 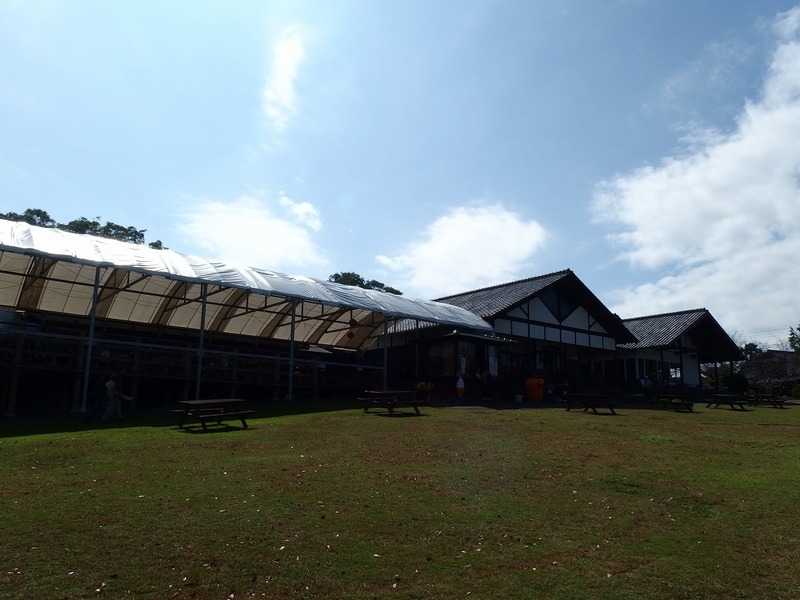 There are shops and restaurants, petting zoo, athletics field, and even accommodation is available (cottage type). The streets that reproduced the good old cityscape. I came to the open space with the flower garden of the cosmos. 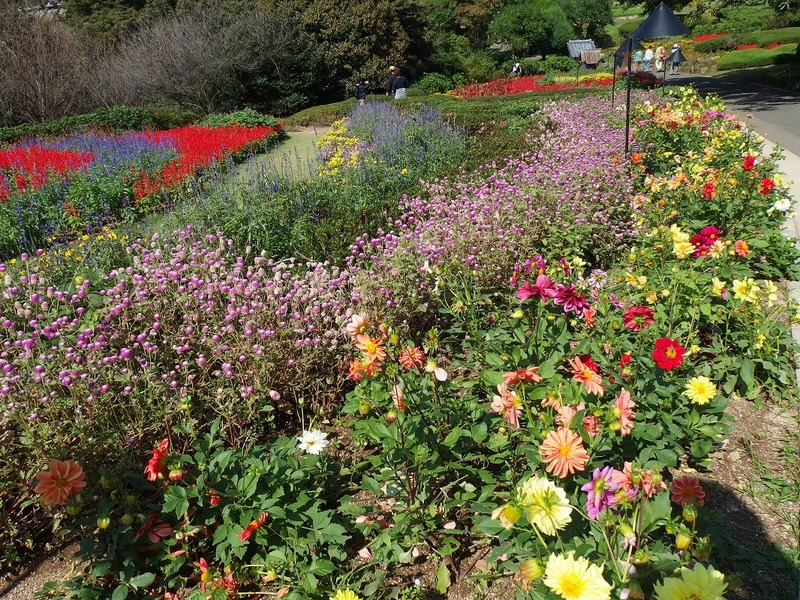 In Nokonoshima island you can enjoy flowers for each season. 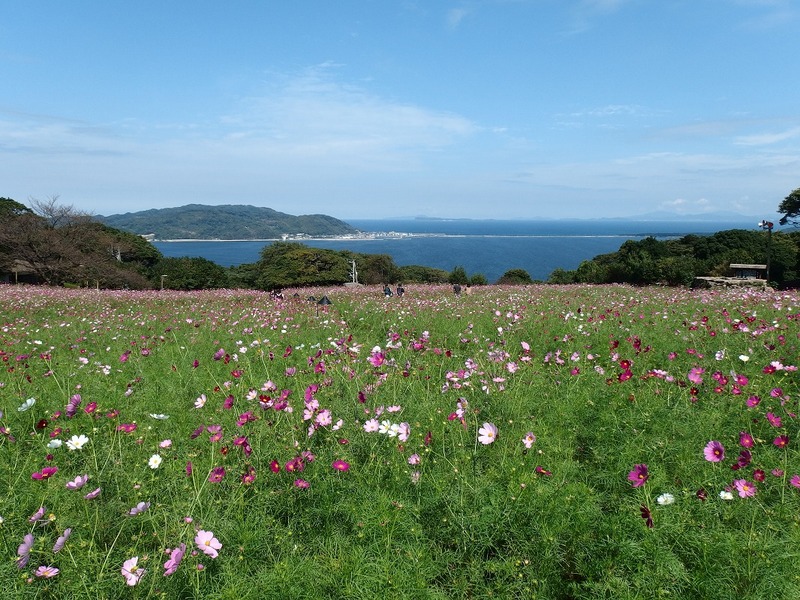 For flower information, please visit the website of Nokonoshima Island Park. The scenery that I saw from here was amazing. There were two restaurants at this field. Having a meal in a scenic place is the best. 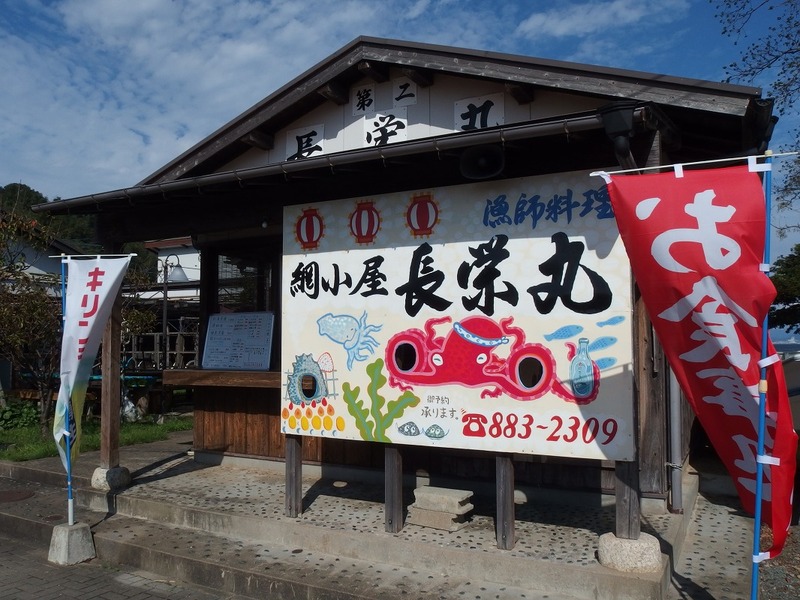 Since I came to the island surrounded by the sea, I wanted to try seafood, so I visited this restaurant “Choeimaru”. 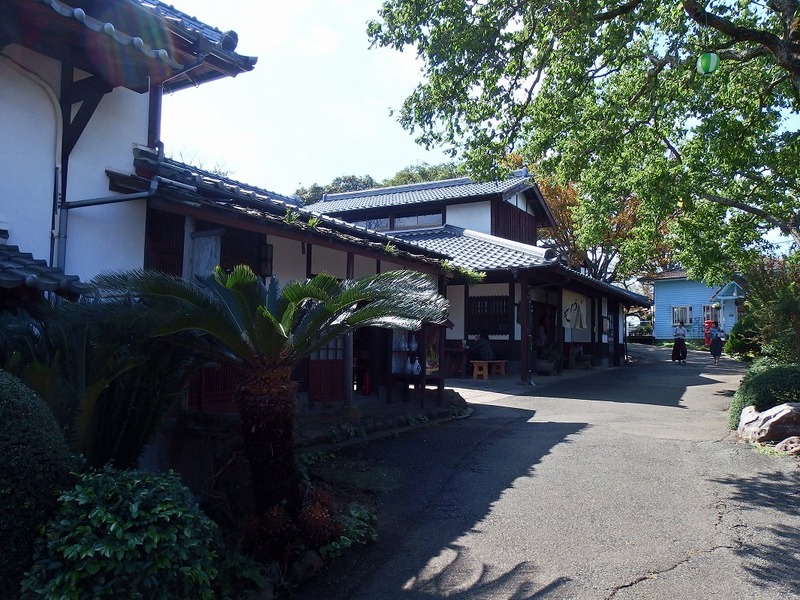 Choeimaru is just next to the burger shop and tourist information office I introduced earlier. It might be better to visit there while waiting for the ferry. Inside of the restaurant. 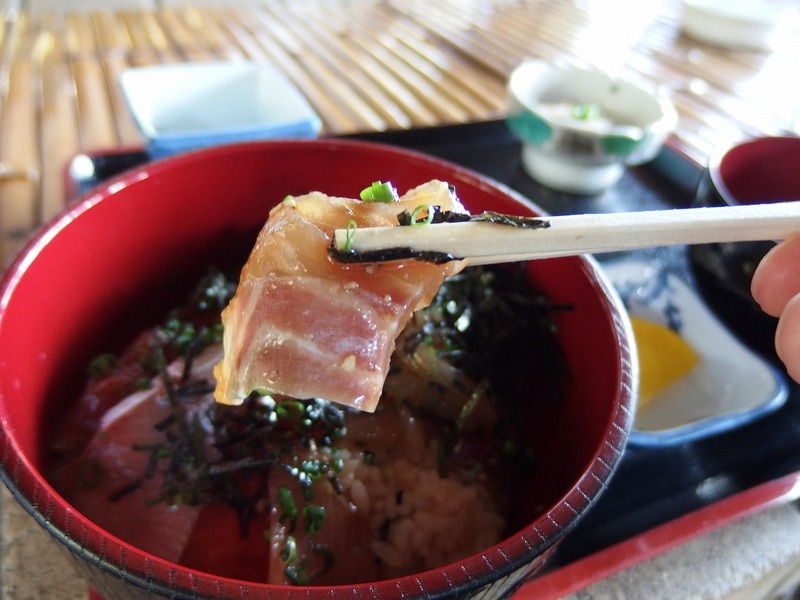 I ordered Kaisendon ‘海鮮丼’, (Bowl of rice topped with sashimi). It is only 1300 yen. Sashimi was fresh and delicious. 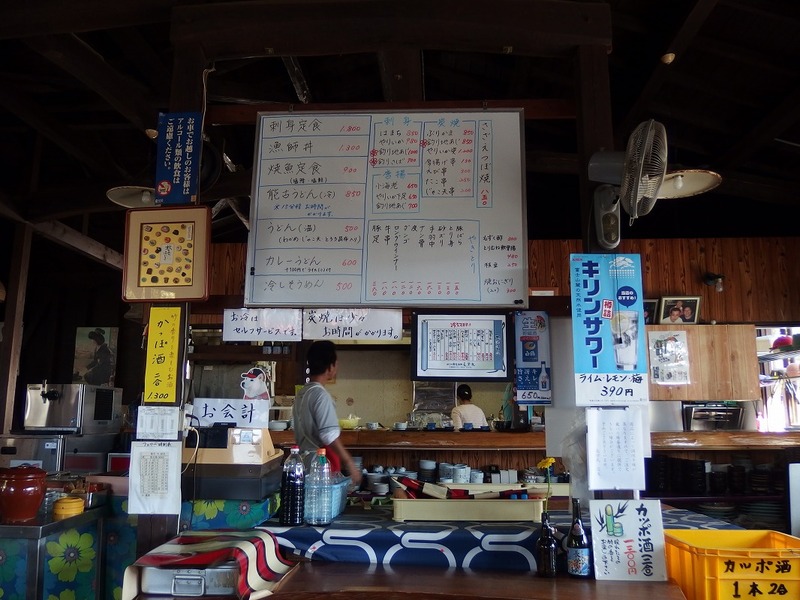 Other good restaurants are also located around the port so please ask at the tourist information office. 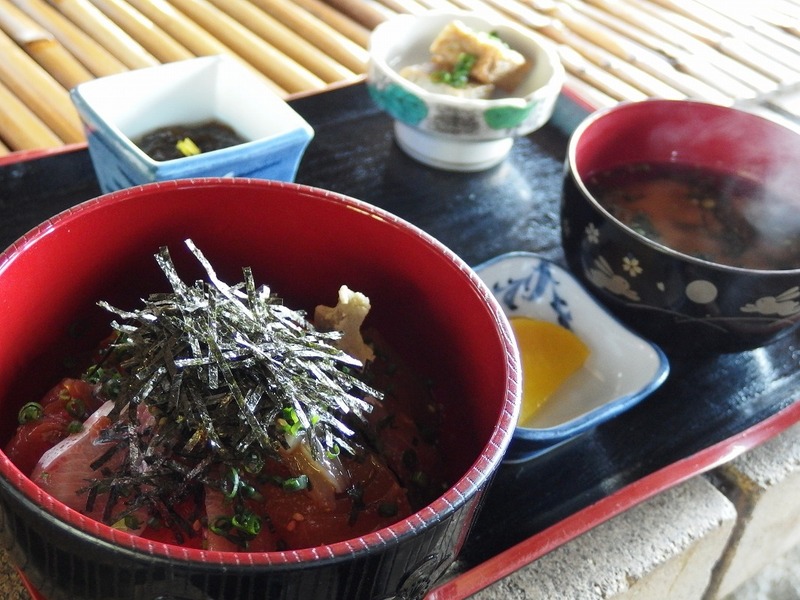 How was this one day trip to Nokonoshima island? Even though, it is a short trip only 10 minutes from Fukuoka city, it is wonderful getting on a boat makes me feel like I came a long way. Why don’t you put this one day trip to your next trip plan? 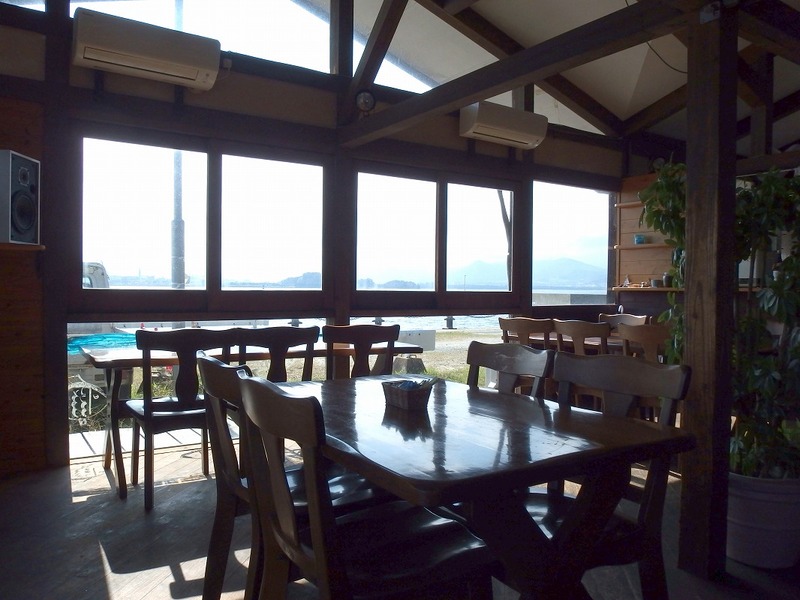 Access: 10 min from Meinohama Ferry Passenger Terminal (姪の浜旅客待合所) by Ferry. 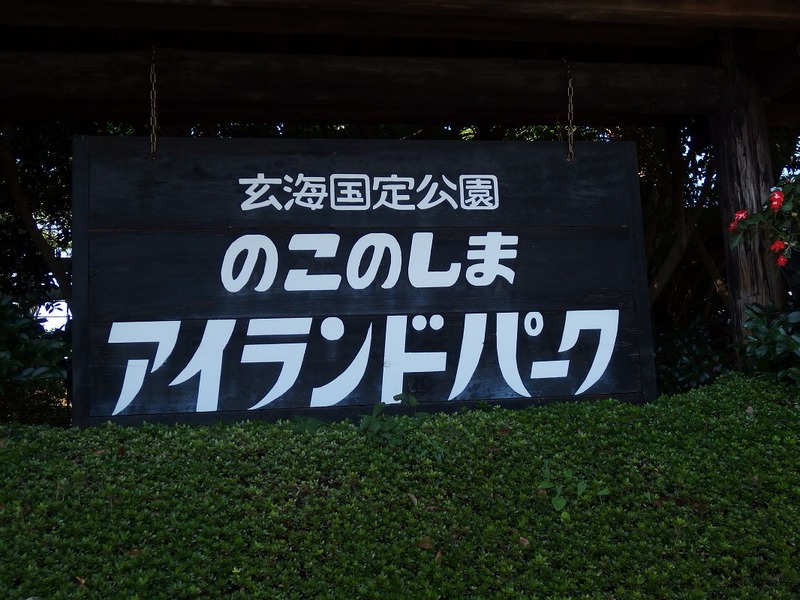 Admission fee: 1000 yen for adults (16 years old and over), 500 yen for children (7 to 15 years old), and 300 yen for infants (3 to 6 years old). 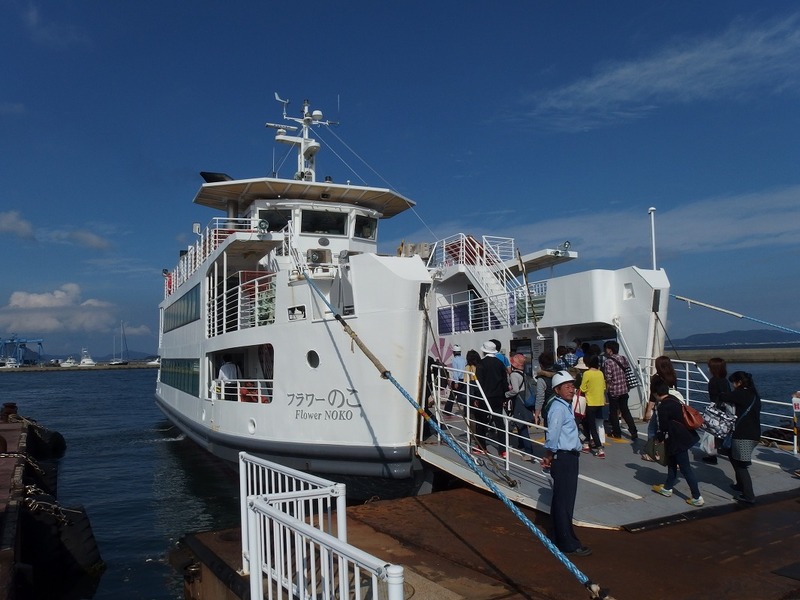 Access: After arrived at Nokonoshima ferry port, take a Nishitetsu bus “bound for Island Park (アイランドパーク行き)”, about 13 min. OR by bicycle. ← Good Quality With Good Price! Delicious Tuna Sushi At Yanagibashi Market!